Elva Tewaguna Namepyo, was a daughter of Fannie Nampeyo, a granddaughter of the Nampeyo of Hano and a sister of Iris and Tonita Nampeyo and Thomas Polacca. 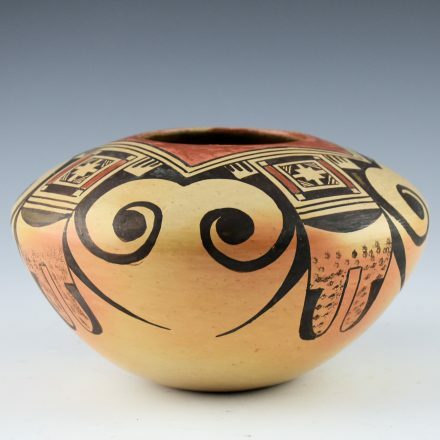 Her pottery was coil built, stone polished and painted with bee-weed and natural clay slips. 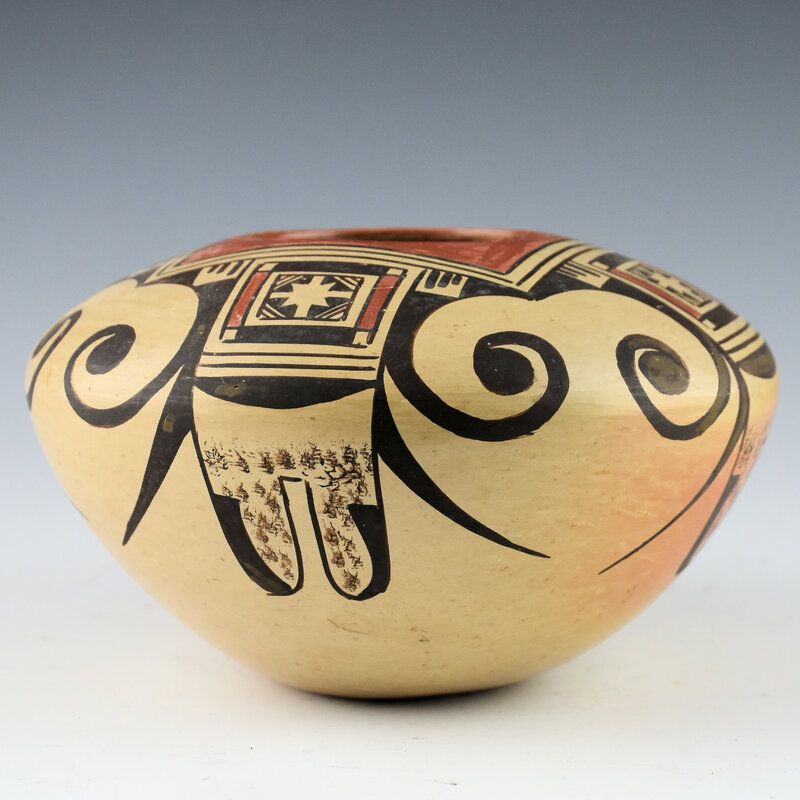 This wide shape bowl is one of her classic shapes. The design is an eagle tail design which was made famous by Nampeyo of Hano. 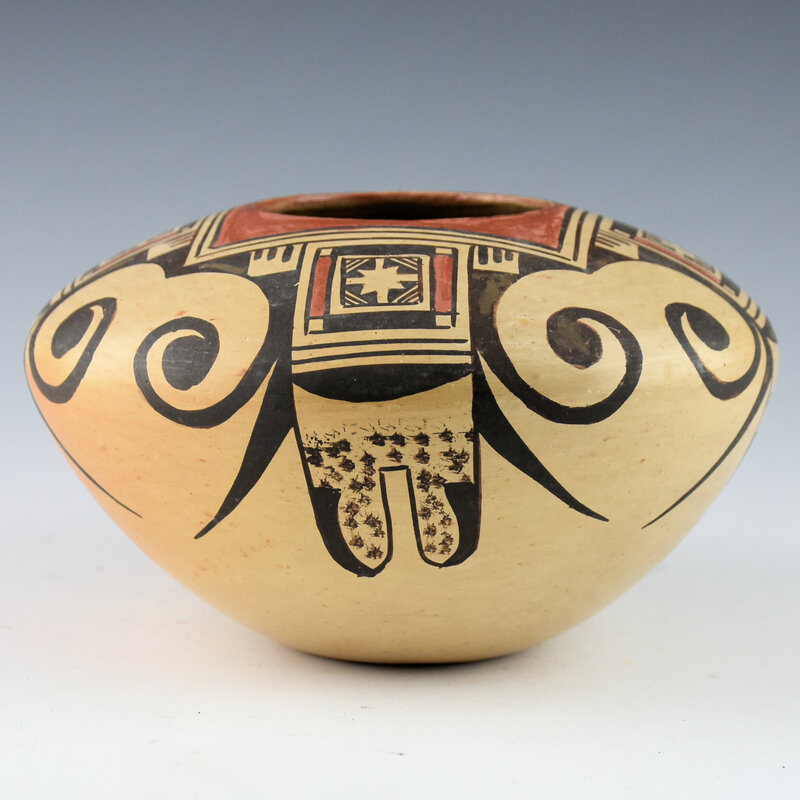 The eagle tail design is delicately painted with the tail feathers extending over the shoulder of the bowl. 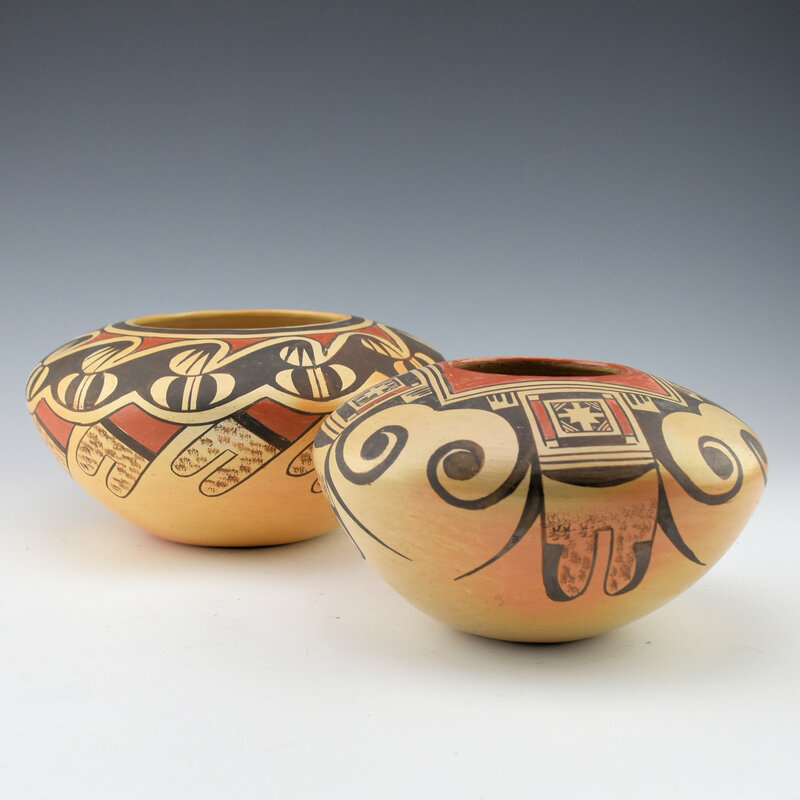 The piece was traditionally fired to create the blushes on the surface. 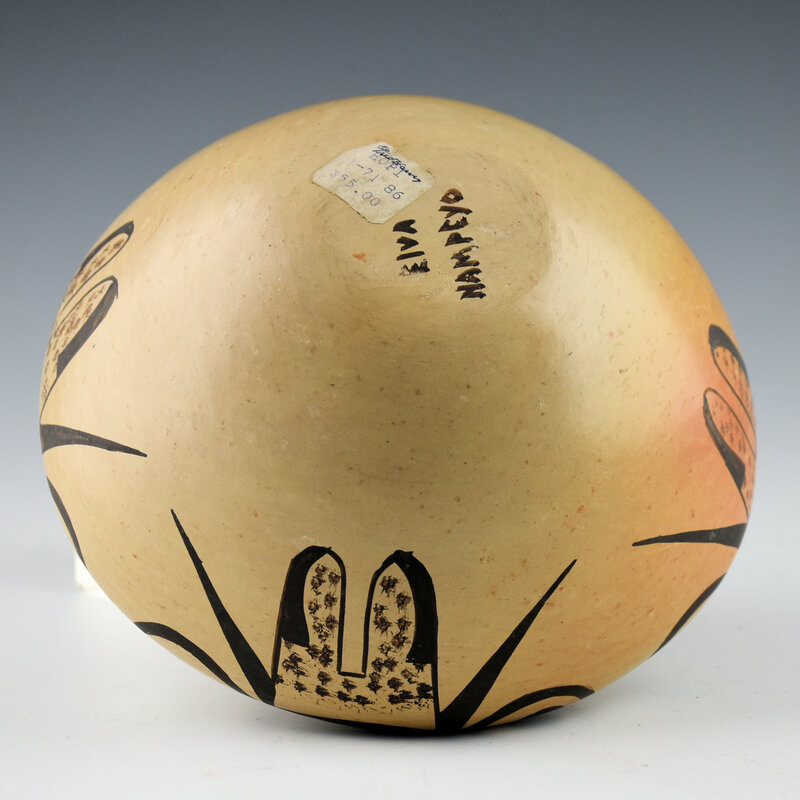 It is signed on the bottom before fired, “Elva Nampeyo”. Interestingly, it has an original Fred Harvey sticker from 1/71. The original price was $55! The tag adds a wonderful provenance to the piece. It is in very good condition with no chips, cracks, restoration or repair. Her daughter Adelle Nampeyo continues in the same family tradition.